Today PIDC joined with Mayor Michael A. Nutter to announce a range of investments in Philadelphia’s startups and entrepreneurs through Startup PHL, an initiative of the City of Philadelphia’s Commerce Department, PIDC, and First Round Capital to provide funding for early-stage companies and to support programs that develop the startup community in Philadelphia. In October 2012 PIDC joined with First Round Capital to announce the creation of the Startup PHL Seed Fund a $6M fund designed to increase the availability of investment capital for Philadelphia-based startups. Today, we joined with our co-investment partner to announce a combined $400,000 seed investment in Velano Vascular, an innovative medical device company, which has pioneered a needle-free method for drawing blood from hospitalized patients. The company was recently recognized by the Sheikh Zayed Institute for Pediatric Surgical Innovation at Children’s National Hospital, Washington, DC and received a $50,000 prize for innovation in pediatric surgical care. In addition to Velano Vascular, the Startup PHL Seed Fund has funded two other companies to date, including healthy meal delivery company Real Food Works, announced last year, and a third Philadelphia startup, which is not yet public. Today we also announced the creation of the Startup PHL Angel Fund, which increases the range of Philadelphia funding options available to city’s earliest-stage startups. Making investments from $25,000 to $100,000, in the StartUp PHL Angel Fund PIDC co-invests alongside angel investors to help very early-stage companies build a minimum viable product or validate key assumptions. Josh Kopelman and John Grady, President of PIDC, announced the first three Startup PHL Angel Fund investments of $100,000 at an event organized by Philly Startup Leaders, Technically Philly and Startup PHL to build connections between Philadelphia startups and young people studying in the city. Through Startup PHL Funds and co-investments from First Round Capitalsix Philadelphia startups have received more than $1 million in combined seed or angel investment since October 2013. As part of the Startup PHL initiative in 2013, PIDC also made a $750,000 investment in the University City Science Center QED proof-of concept program as well as a $750,000 investment in the DreamIT Ventures program to support follow-on funding rounds of Philadelphia companies participating in the highly successful accelerator program. 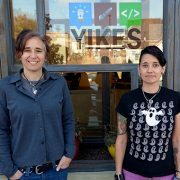 It is a great time to be starting a company here in Philadelphia. 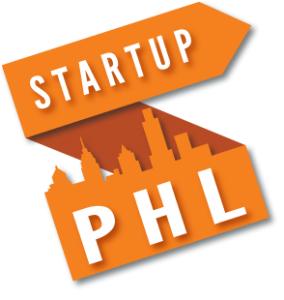 If your company is based in Philly or you are planning to move here, find out more about Startup PHL here.